The true value in this book/ course is that it is laid out in 8 weekly chunks, systematically building on skills so essential for meaningful and stess-less engagement with life. 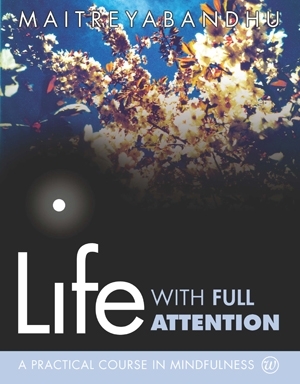 Although I have done numerous buddhist retreats in the past, dipped into and out of meditation courses and practised / not practised meditation off and on….. this book was a turning point. I started this journey so stressed, grasping and anxious about myself, my performance, my job, family etc….. This book has grounded me and helped me to develop insight that previously eluded me. Thank you.